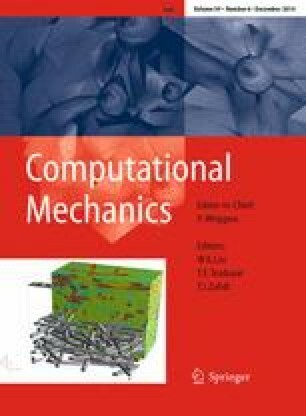 In this paper we present a method for nonlinear frequency response analysis of mechanical vibrations of 3-dimensional solid structures. For computing nonlinear frequency response to periodic excitations, we employ the well-established harmonic balance method. A fundamental aspect for allowing a large-scale application of the method is model order reduction of the discretized equation of motion. Therefore we propose the utilization of a modal projection method enhanced with modal derivatives, providing second-order information. For an efficient spatial discretization of continuum mechanics nonlinear partial differential equations, including large deformations and hyperelastic material laws, we employ the concept of isogeometric analysis. Isogeometric finite element methods have already been shown to possess advantages over classical finite element discretizations in terms of higher accuracy of numerical approximations in the fields of linear vibration and static large deformation analysis. With several computational examples, we demonstrate the applicability and accuracy of the modal derivative reduction method for nonlinear static computations and vibration analysis. Thus, the presented method opens a promising perspective on application of nonlinear frequency analysis to large-scale industrial problems. This work is supported by the European Union within the FP7-project TERRIFIC: Towards Enhanced Integration of Design and Production in the Factory of the Future through Isogeometric Technologies . The “TERRIFIC part” was designed by Stefan Boschert (Siemens AG, Germany) and the isogeometric parameterization provided by Vibeke Skytt (SINTEF, Norway).